1. With strict quality control, best performance, durables and little breakdown rate. 2. Sound is slight during running, no vibration and to install underground screws not required. 3. Through special design which is studied and improved for years, the easy operation goes with automatic control in high efficiency. 4. Directly deciding its size as well as length, the cutting is accurate and flat. 1. 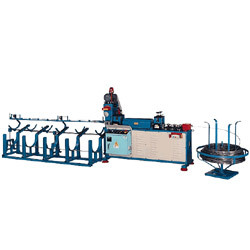 Straightness and cutting face is to meet international standard. 2. Feeding mechanism adopts adjustable DISCO variable speed motor, and the speed can be adjusted freely.